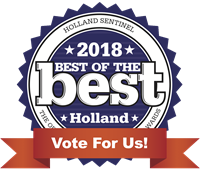 As you are picking your favorites in Holland's "2018 Best of the Best" contest, please remember to visit the Health/Wellness - Counseling/Mental Health category and consider voting for TCM Counseling. The winning prize is valuable exposure throughout 2019! If TCM wins, OUR COMMUNITY WINS because we will be that much easier to find! We've been serving the lakeshore for over 42 years, and are proud to continue to NEVER turn anyone away... Never. Let's make sure Ottawa County knows that. Thank you in advance for your time, and hopeful vote!